…for less than you are spending now. That’s right… I will increase the productivity of your Facebook campaign to the point where you are paying less than you were before, yet I will increase your traffic – right from the moment I start. Hi, my name is Robby Ramos and I am a Facebook expert! I am a real person, I live in Montreal, Canada and I have been a Facebook expert – in all industries and niches – since 2010. … it’s also really, really hard to do properly! Most people fail, and they could have succeeded. 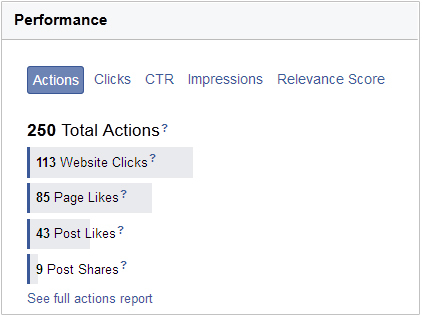 Facebook Ads does not appear to be hard… I mean, you can get started with a Facebook campaign really quickly. It frustrates me really… I see good people, in all sorts of different industries, launching campaigns every day that end up failing. Wasted money. And yet they could have got more leads and more clients if they only knew all the little nuances and tricks and small details that we Facebook experts know about. That’s why I launched this service. …and a few other things that need to be done correctly for an effective campaign. Not every campaign yields the same results. Some niches and markets will be more competitive than others with out a doubt and although I strive to bring your Cost Per Click down, conversions will differ. You can take a horse to the water…. I focus on increasing your Clicks, Click Through Ratio and Relevance Score that will lower your Cost Per Click. Traffic is only the first part of the equation! Although traffic is key, it is not certain that they will convert. A proper landing page is require with continuity that will yield in higher conversions so that you can focus on your leads.